Layer cage is one of the most recognized poultry equipment in chicken farm. Before buying a perfect layer cage for your poultry farming, you have to determine the size and custom the design by yourself. Also the cost depends on what equipment comes with the layer cage. The number of units of layer can vary according to your necessity. You have to get one starter for every row of cages. And the cage must need to be minimum 1 meter away from the wall to maintain proper humidity and air circulation. Also you need to install a manifold system with a roof tank to feed water to the birds inside the layer cage. 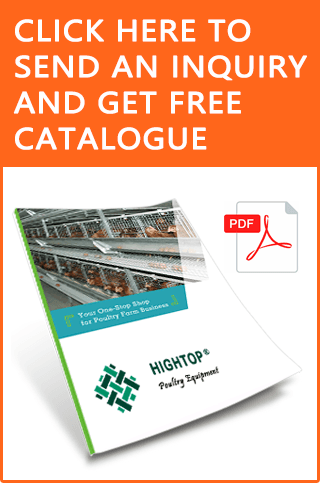 HighTop is a one of the specialists in manufacturing layer cage for poultry egg production. We sell two tier layer and 3 tier layer chicken cage. Have a look on the product description and decide the best fit for your poultry farming. Why Layer Cage is Good for Chicken Egg Farm? A very adjustable cage size and dimension for any sort of chicken farm plan. Unique cage door design – The full width sliding door will provide you full access and visibility to the chickens inside the cage. Long service life – The electro or hot deep galvanized cage will protect from corrosion and rust for many years. Increased density of bottom fabric – The density of bottom fabric is increased to ensure free and force-free movement of the chickens and chicks. Excellent natural ventilation environment – The natural ventilation system will keep a decent amount of airflow and proper humidity distribution in the cage. Land & Space Saving – The centralized design and management of the layer cage will let you to save land and space of the poultry farm. The design is modified in such a way that, the feed waste and egg damage comes almost into a zero level. Floor support system is installed to ensure that the birds can move freely without damaging their legs. Through mouth steps are guided to prevent damage of the eggs in the collection tray of the chicken eggs. Cage lifespan: 15-20/10-15/7-10 years for different surface treatment cage. Fully automatic produce machine assure strong welded spots, increase cage lifespan. Providing full accessories-Fully automatic water line, feeding trough, installastion tool. Free layout design and poultry house design. Over 10 year working experience prefessional team will help you the whole process for build farm. Best pre-sale and after-sales service. Prompt reply within 24 hours. We can provide different certificate for different country- Nigeira’s Soncap certificate, Kenya’s PVOC certificate, Philippine’s Form E, ect. 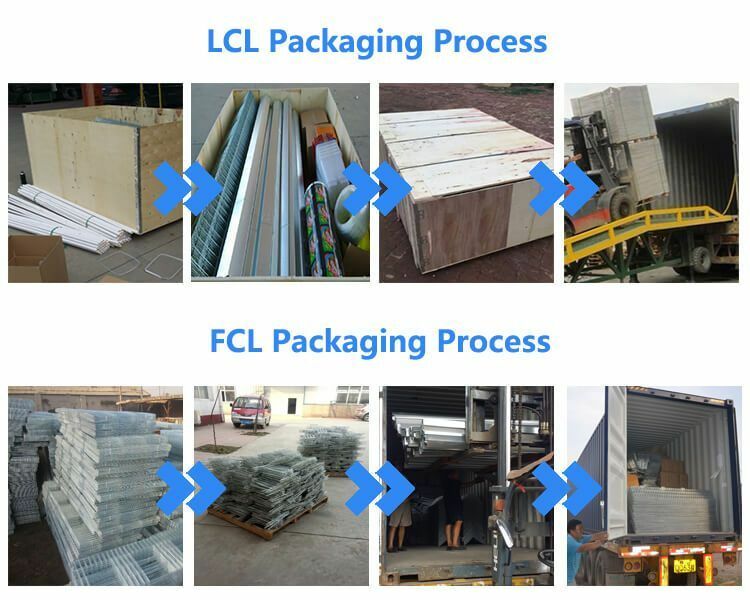 LCL (Less than Container Loading): packed in wooden box and pallet. A: We are manufacturer of poultry cage for over 15 years. Our factory address is No.105 Bolin Village, Anping County, Hebei, China. Welcome your visit! Q2: Which cage is suitable to my poultry farm? 1. Chicken: layer, broiler or baby chick? Q3: Can your cages be customized? A: Yes, we can design cage type and size according to your specific requirement. Q4: How long is the lifespan of your layer cage? Q5: What’s your MOQ of the layer cage? A: The MOQ is 5 sets. Q6: How many sets of cages can be loaded in one container? Broiler cage: 80-200 sets in 20GP, 170-430 sets in 40GP, 185-470 sets in 40HC. Q7: How to install the cages? 2: Send our engineer to your farm. Q8: What payment do you support? A: T/T, Western Union, Paypal, Credit card on Alibaba are all available. The currency we accept have USD, RMB, EUR. Q9: What is your delivery time? A: We have stock cages for your urgent requirement, and delivery time is about 7 days. 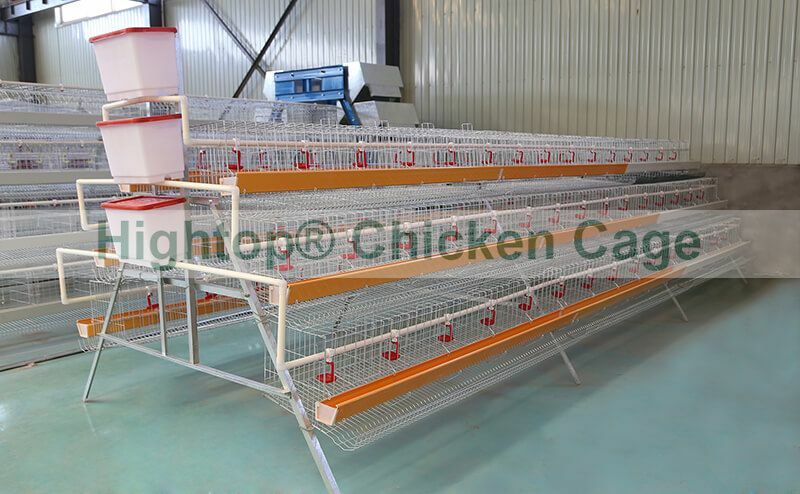 For big orders, we can produce 400 sets layer cage or 800 sets broiler cage in one month. Q10: Do you provide automatic equipment for poultry? A: Yes, we provide one-stop shopping service. Both semi-automatic and full automatic machine are available. We also can provide free layer cage layout design.